Famed Picasso biographer and art historian Sir John Richardson opens the doors of residences from his life, revealing an autobiographical sketch through handsomely decorated rooms filled with art, antiques, and intriguing mementoes, each with a special story. 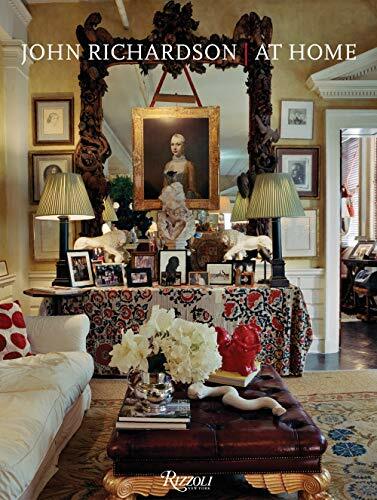 John Richardson’s Bohemian Aristocrat interiors are, and have been throughout his life, filled with fine English and American antiques; interesting textiles; works of art by friends, legendary artists Pablo Picasso, Georges Braque, Lucian Freud, Andy Warhol, and Robert Mapplethorpe; vivid color combinations; and objects that prompt stories from a well-lived life. From London and the stately buildings of Stowe School, in the idyllic Buckinghamshire countryside, to the south of France, New York City, and the Connecticut countryside, Richardson shares the story of his life through places, objects, and people–a form of autobiography, gloriously illustrated, entertainingly told. In stories about his residences in the south of France (at the Château de Castille with celebrated art historian and collector Douglas Cooper), London (a set of rooms at the famed Albany apartment house), and the United States (glamorous New York City apartments and a country retreat in Connecticut), Richardson reveals his life through a mélange of interesting places, mementoes, works of art, furnishings that prompt stories, and an endlessly fascinating assortment of friends and acquaintances–Fernand Léger, Lady Diana Cooper, Fran Lebowitz, and Oscar and Annette de la Renta, to name a few. Essential reading for those interested in twentieth-century art and social history, grandly livable interiors, and the good life.